HCM City (VNA) – The remittances to Ho Chi Minh City, which is one of the top localities nationwide receiving the largest volume, reached more than 900 million USD in the first two months this year. According to the State Bank of Vietnam (SBV)'s HCM City branch, most of the remittances flew into production and business. Industry insiders said that the remittances were poured significantly into the city thanks to the recovery of domestic investment channels, especially real estate. Nguyen Hoang Minh, Deputy Director of the SBV's HCM City branch, said that a significant amount of the remittances had been sold to commercial banks thanks to the stability of the local foreign exchange rate. Last year, more than 22 percent of the remittances were sold to the banks. Experts forecast that the remittances to HCM City this year would continue to be optimistic, reaching roughly 5.5 billion USD, the same as last year, thanks to the city's economic growth. 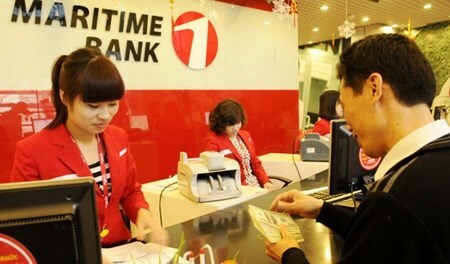 To attract more remittances, besides the government's policies to encourage overseas Vietnamese to invest in their homeland, domestic commercial banks have also put on many promotional programmes for their money transfer services. According to a recent World Bank report entitled "Migration and remittances fact book 2016," Vietnam received nearly 12.3 billion USD in remittances in 2015. The country is the 11th largest recipient of remittances worldwide, and ranks third in the Asia-Pacific region after China and the Philippines, according to the report. Statistics from the State Committee for Overseas Vietnamese Affairs under the Ministry of Foreign Affairs showed that some five million Vietnamese are residing in 103 countries and territories around the world. Between 1993 and 2015, Vietnam received total remittances of about 109 billion USD, accounting for 6.8 percent of the country's gross domestic product (GDP) over the period.